Derek Black, a former white supremacist and white nationalist whose father was once a Grand Wizard in the Ku Klux Klan, said that members of his family regularly watch Fox News programs in order to get better ideas of how to craft their own racist messaging. Black, whose father Don Black established the website Stormfront in 1995 (which the Southern Poverty Law Center says was the first major hate site on the web), disavowed white supremacy himself in 2013, according to a report from the Washington Post. Speaking with Van Jones on CNN Saturday, Black explained how his family members watch Fox News programs (on repeat) in order to get material for their own discussions, specifically stating that one of the shows they watched was Tucker Carlson’s. 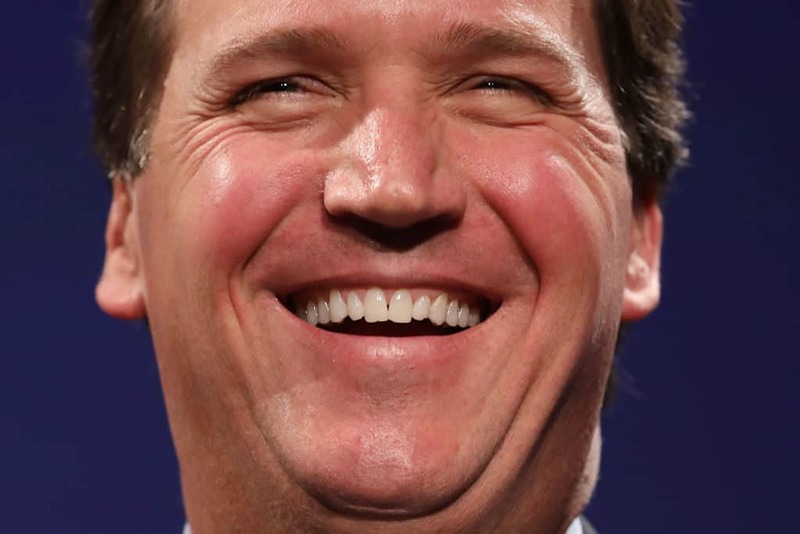 “It’s really, really alarming that my family watches Tucker Carlson’s show once and then watches it on the replay because they feel that he is making the white nationalist talking points better than they have, and they’re trying to get some tips on how to advance it,” Black said, per reporting from Mediaite. Jones asked Black, who was homeschooled his whole life until he went to college in Florida, how he was able to step away from the white nationalist movement. Black credits going to college and meeting people beyond his own circle for the change. As a child, Black was considered a “rising star” in the white nationalist movement. He even formed a companion site to his father’s webpage, called “KidsStormfront,” and hosted his own radio program. In a previous interview on his family’s views, Black explained that they truly believed white nationalism and white supremacy were separate concepts. He eventually came to understand that they were not. People like his father “just wanted everybody to be forcibly put in different spaces, and [said] that [it] was not about superiority, it was just about the well-being of everybody,” Black said in an interview with NPR last fall.